On Friday, June 24, 2011, a U.S. federal trademark registration was filed for SOPHIA’S ANGELS by Hartman, Vivian, Sylmar, CA 913424362. 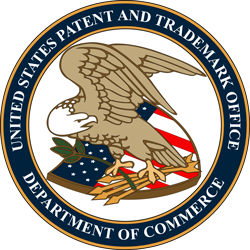 The USPTO has given the SOPHIA’S ANGELS trademark serial number of 85354949. The current federal status of this trademark filing is REGISTERED. The correspondent listed for SOPHIA’S ANGELS is Hartman, Vivian of 13661 Hubbard Street, Sylmar CA 91342-4362, . The SOPHIA’S ANGELS trademark is filed in the category of Medical, Beauty & Agricultural Services . The description provided to the USPTO for SOPHIA’S ANGELS is Services for healing the body’s spirit, namely, providing of information on massage, aromatherapy, reflexology, and visualization. International Class: 044 – Medical services; veterinary services; hygienic and beauty care for human beings or animals; agriculture, horticulture and forestry services. – Medical services; veterinary services; hygienic and beauty care for human beings or animals; agriculture, horticulture and forestry services. ©Copyright Sophia's Angels® 2019. Website Designed by Quiet Thunder Designs.